Tall orders, no problem. After all, we create banners as big as buildings. Printing and assembling them is one thing, but hanging them on soaring hotel towers is quite another. Installation Services are a big part of who we are and what we do. You can’t “Print Big” and not finish the job! 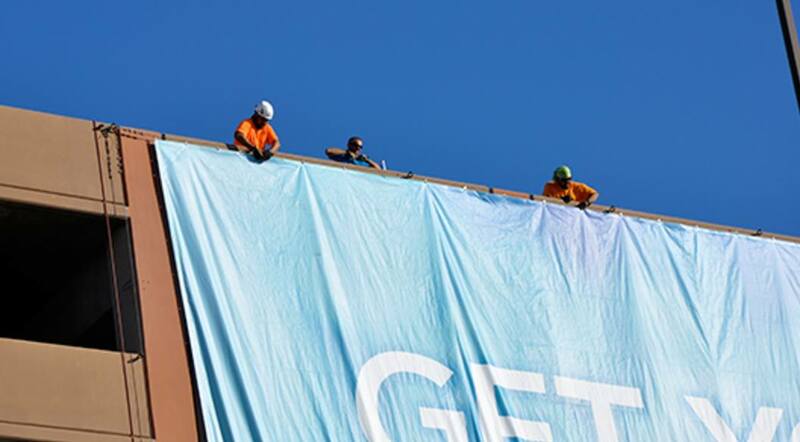 In Las Vegas, you will see our installation work all over town, from the sides of hotels and casinos to office and retail buildings multiple stories tall. 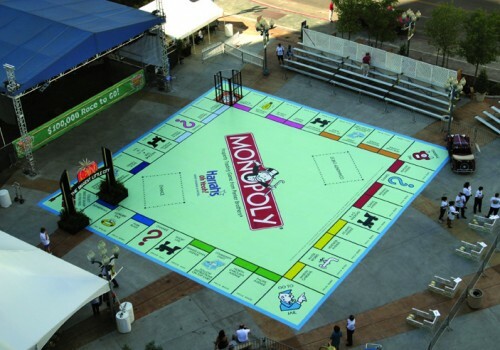 However, we don’t just install on the large buildings in Las Vegas, we also install signs, banners and other graphics at retail locations, professional businesses, and at conventions, where we produce Trade Show Graphics and our clients require installation. 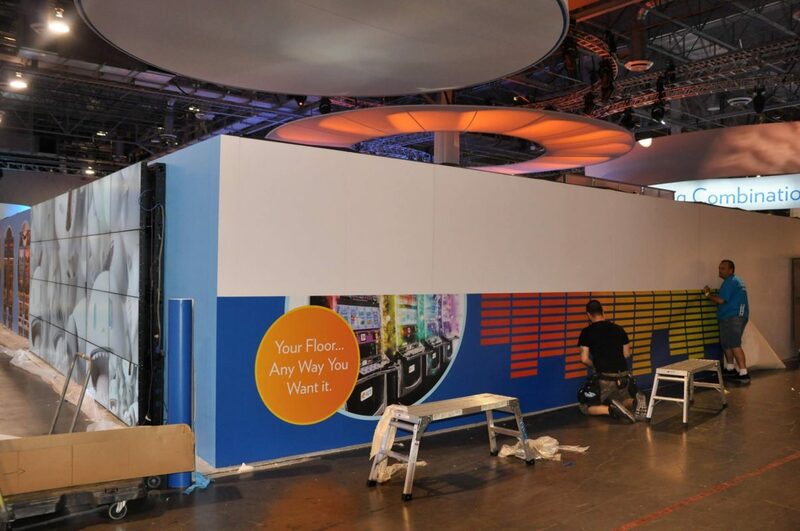 Color Reflections Las Vegas’s installation teams ensure that your completed project is unpacked, assembled and safely in place – whether it is a multi-level retail display, a fleet of buses or a 12-story banner attached to a skyscraper. Our professional staff completes the seamless process that began with your first telephone call. Our job isn’t done until your image is in front of your customers’ eyes. If you did not see the products you were looking for, or need information on Installation Services With Color Reflections Las Vegas feel free to contact us anytime using our RapidQuote™ Contact Form, or just give us a call at (702) 262-9300. We look forward to hearing from you. With more than 18 years of experience in all facets of Large Format Printing, and with an operation located in the largest Trade Show city in the USA, choosing Color Reflections Las Vegas will provide you the confidence to explore your creative side and present your company successfully, separating you from your competitors. “If You Can Dream It, We Can Create It”.